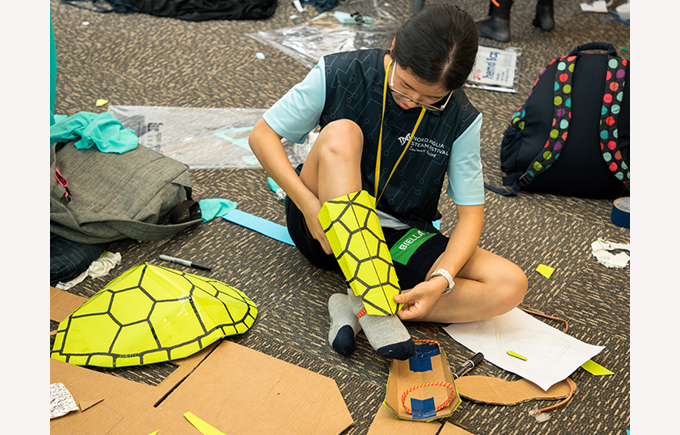 Nord Anglia Education’s collaboration with MIT includes three MIT Challenges each school year. This year’s theme is STEAM Superheroes, and includes these three challenges: Super Natural featuring Prof. Peko Hosoi, which highlights animal-inspired design; Epic Identify featuring Prof. Leia Stirling, about wearable technology and quantifying human performance, and Medical Marvel featuring Prof. Chris Voigt, which encourages students to engineer biology to improve human health. We are reaching out to our community to identify potential local collaborators to enhance the experience for our students in our final challenge, Medical Marvels, which will take place the week beginning Sunday, 26 May 2019. If you have expertise that can help, we would love to hear from you. It’s not the gadgets or the powers that make a superhero heroic; it’s how they improve the lives of people. Improving human health through biological engineering is one way MIT is doing this. MIT Professor Chris Voigt thinks of cells like complex circuits, with inputs, outputs, and logic. He is working on a computer language that allows researchers to more easily program cells, the way they might program a computer. This will lead to more experimentation and hopefully better medicine. The objective of Medical Marvel is to tap into the potential of applying engineering principles to biological problems to improve human health. MIT challenges Nord Anglia students to engineer biology to make life better for someone with an illness or a disability. · Bioengineers or synthetic biologists to speak with students, lead hands-on workshops, or mentor students as they develop their own projects. · Engineers who have experience applying their education and skills to problems not traditionally considered within the realm of the engineer. Please contact Raz.Akhtar@nais.qa for Rayyan, Zahra.Syed@nais.qa for Gharaffa and Alan.McArtney@nais.qa or Simon.Porter@nais.qa for Madinat Khalifa.